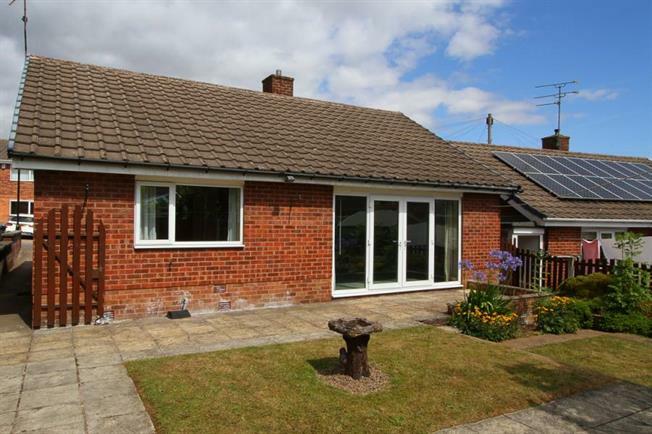 2 Bedroom Detached Bungalow For Sale in Sheffield for Offers in the region of £165,000. Blundells are delighted to offer for sale this well presented TWO bedroom bungalow in the ever popular area of Halfway. In brief the property comprises: Entrance door leads into hallway which in turn leads to the bathroom with a three piece suite. Two bedrooms with the master benefiting from fitted wardrobes, Lounge with feature fireplace, french doors opening onto the rear patio and kitchen with a range of wall and base units including fitted hob with extractor above. To the front of the property is a driveway providing off street parking, and a patio area, to the rear of the property the garden is mainly laid to lawn with a patio area.